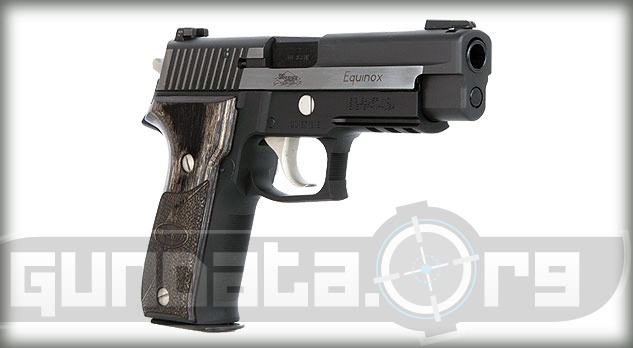 The Sig Sauer P226 Equinox is a large frame, semi-automatic pistol designed for competitive, recreational, along with self-defense shooting purposes. 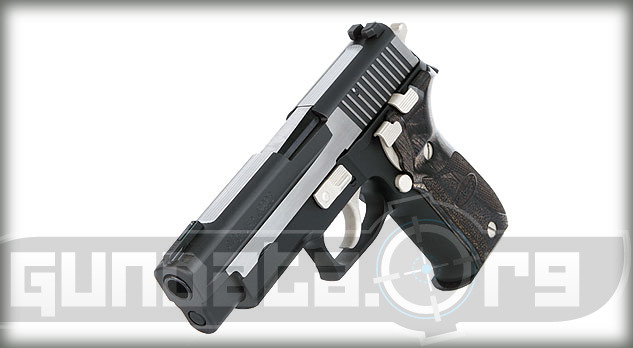 The P226 models were originally introduced in 1984 as an attempted replacement for the U.S. Military sidearm, and was picked as the weapon of choice by the Navy Seals. Sig Sauer tests all P226 models at a range of 25 meters for accuracy. The controls are nickel plated and feature a decocking lever on the left side, along with an ambidextrous thumb safety switch. 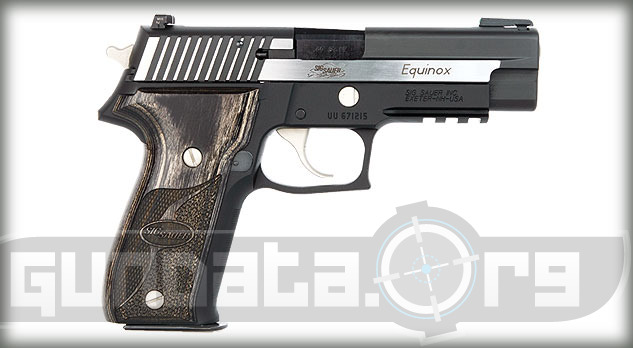 The overall length of the P226 Equinox is 7.7-inches, with a height of 5.5-inches, and a barrel length of 4.4-inches. The frame material is made from aluminum alloy, with a black hard anodized finish. The slide material is made from stainless steel, and has a black Nitron finish with brushed polished flats on the slide. The grips are custom wood shop grips with front strap checkering. 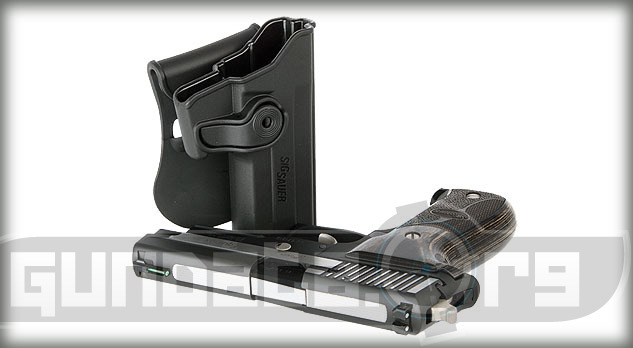 The sight system is tritium TRUGLO front sight, and features the 2 white dot SigLite night sights on the rear sight. It holds 12-rounds of .40 S&W ammunition, and has a trigger pull of approximately 4.4-pounds (single) and 10-pounds (Double).